AT over seven million followers, Nigerian pop singer, David Adeleke, known as Davido remains the most followed Nigerian on Instagram. No Nigerian person or brand has more followers. His long-time music rival, Wizkid, who holds the honour of being the second most followed Nigerian or brand is a long way from him at over five million. This is as good as it gets for the Omo Baba Olowo but not everyone is completely sold on the number of his followers. Two Instagram users, @kinglucyy and @amarabiish have questioned the originality of the ‘Aye’ crooner’s followers, insinuating that most of his followers might have been fake or cloned followers instead of real people and their reasoning, which they claimed was a result of intensive research and analysis, is based on the number of likes and comments the Nigerian pop idol gets, compared to his arch rival, Wizkid’s. @kinglucyy claims he counted the number of likes of one Davido’s post which saw over a thousand in 5 minutes and was surprised, after his manual counting that it was actually 217 likes, and not 1000 as stated. Read his post: “Truth is Davido has 7M followers and Wizkid has 5.6M followers but Wizkid has more likes on his posts than Davido. 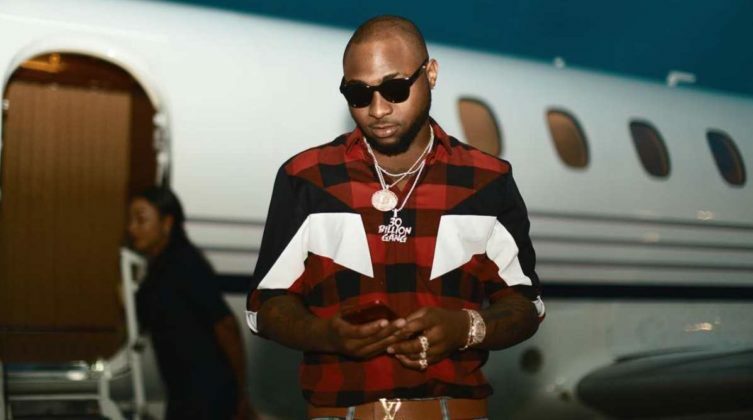 Now listen to this: One day Davido posted a picture and within 5 minutes it had 1000 comments, a friend of mine counted and it was exactly 217 at that moment, he told Davido about it . And immediately he told him Davido blocked him.” His argument is that, with Davido having almost 1.5 million more followers than Wizkid, his posts should get more responses and not the other way round. “Wizkid doesn’t post often, so each time he posts, he is sure to get more engagements than Davido. Because Davido posts almost everyday, most of his followers may not care to like or comment sometimes. Social media pages work differently for everyone. Davido does not need to buy followers. He didn’t buy followers. Instagram is designed to favour celebs more through verification of their accounts and suggestions to users,” she opined.